Residents of Chelyabinsk – the Russian Urals city hit by a meteorite explosion back in 2013 – have sounded alarm over a strange bluish snow that covered the city streets. “As the sun rose today, everyone noticed the blue rooftops, blue parking lots…we started panicking a bit”, local resident Dmitry told RT via phone. The fallout was spotted in an industrial zone on the outskirts of the city. According to Dmitry, the strange snow smelt somewhat like iron, but was not giving the locals much trouble and even brightened up the area’s gloomy surroundings. However, not everyone was amused, with some bewildered locals speculating that the snow was contaminated by toxic materials. Correspondent with local news portal Telefact, Alexandra Artamonova, said she could “feel a sweet taste in the mouth” while merely standing near a pile of blue snow. She added that people have been complaining of a sore throat after passing near the contaminated area. Local media trumpeted the people’s concerns Thursday. Neither the Emergencies ministry nor the Ministry of Ecology have responded to the case, media claimed. 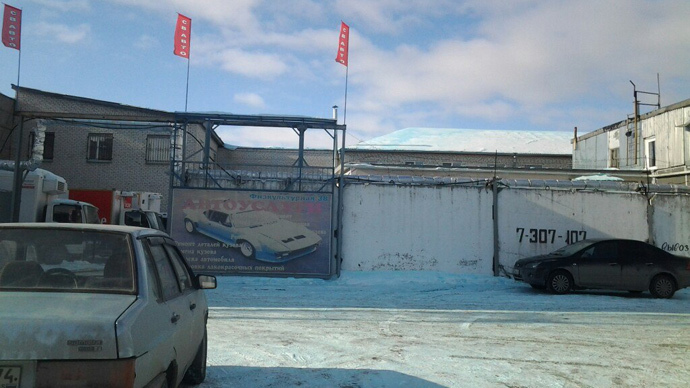 Nevertheless, later on Thursday LifeNews claimed to have solved the mystery saying that the blue snow should not cause any concern. It turned out to be that a local factory making dye for Easter eggs had a minor “spill”. The Viteks Company assured that the colorant does not pose any health risks.